How Bad Is The “P” Word? “P” – as in Posture. In a previous blog, What Is The Alexander Technique?, I wrote about the curious reluctance of many of us Alexander Technique teachers to actually say what the Technique is. Another odd feature of our profession is the ongoing, sometimes heated, debate about whether the Technique is, or is not, a method of posture improvement. After all, posture improvement is one of the main reasons students take Alexander lessons. Indeed, when the Technique is mentioned in conversation, most people have no idea what it is, but typically a few will say something like “it has something to do with posture.” And many Alexander Technique students will mention improvements in their posture as one of it’s most important benefits. In my own case, I started taking lessons out of a general curiosity, but within a couple of lessons I noticed a dramatic improvement in my posture. Within the first month, my height increased my almost an inch which, rightly or wrongly, I identified with continuing posture improvement. I was so amazed that I continued with lessons for a couple of years and then went to England to take a 3-year course to become an Alexander Technique teacher. I can think of two reasons some teachers are opposed to using the word “posture”, which I’ll list below. But – full disclosure – I personally have absolutely no hesitation in telling people the Alexander Technique is about posture. 1: Many people think of posture as a fixed position, something they have to create by lifting themselves up and then holding themselves in the new “correct” manner. But of course we’re living creatures, and as long as we’re alive we’re in constant flux. And even if there were a “correct” position at any point in time, it would cease to be “correct” a split second later. Alexander Technique teachers are quite rightly concerned that perspective students will confuse a static view of posture with what the Technique teachers can actually help them achieve: an easy, dynamic, and upright way of sitting, standing and moving. The word “posture” for us is a verb, not a noun. 2: Another reason why some teachers don’t like to connect the Alexander Technique with posture is that there are a lot of other profound benefits one can get from Alexander Technique lessons such as improvements in breathing, pain reduction, ability to be comfortable in stressful situations – the list goes on and on – and teachrs don’t want to limit the way people think about the process. 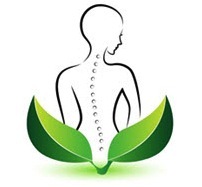 1: Posture is getting a lot of press these days and much of it correctly connects poor posture with a variety of ailments – “text posture” with neck pain, for example. Also, while there are still plenty of posture articles and programs that promote a retrograde view of posture, offering suggestions like “pull your shoulders back” or “sit up straight,” we’re increasingly seeing more dynamic views of good posture that dovetail nicely with Alexander Technique principles. A potential student may indeed have a “faulty” idea of what posture is all about, but it’s not really doing him or her a service by saying our work isn’t really about improving it. A student who has a few lessons will almost certainly come to a new realization about posture on their own. I had a good friend who worked for years as a publisher’s representative. Her job was to visit book stores and convince them to order new titles. One of the first questions the owner would ask if the answer wasn’t obvious was: “What shelf would it go on?” When I described the Alexander Technique to her (in a very different way than I do today!) she said she’d have a hard time thinking of an appropriate shelf for an Alexander book, making it likely it wouldn’t be purchased. It’s also worth noting that F. Matthias Alexander, the developer of the Alexander Technique, used the words “posture” and “postures” almost 50 times in his books. As I indicated above, while I understand some teachers’ reluctance to talk about posture, I’m firmly in the “pro-posture” camp. What are your thoughts on this? Can you think of additional arguments on either side of the debate? Please leave your comments below and/or on Facebook. Robert, I love the metaphor of the shelf. The label on the shelf doesn’t tell you everything that’s in the book, and the book may be about many more subjects than the lable conveys — but if the book isn’t on the shelf in the first place, it won’t be read. We could extend to any short description of the Alexander Technique, whether involving posture or not: it doesn’t have to — indeed, cannot — convery the full profundity and subtlety of the work. It can, and should, give one clear idea about the Technique that might motivate a person to want to find out more. Hi Robert, nicely balanced argument. I have a question, for you and any other teachers who might like to join in. In your experience, how many students do actually come to a realization about posture for themselves? I’m firmly and vocally in the ‘anti-posture’ camp precisely because most students I encounter definitely do not budge on their concept of posture, or the fixed muscles that go with it! Well it’s true some students are reluctant to give up their fixed ideas about “posture”, “right positions” etc but it’s something I address all the time when necessary and, over time, most students do “get it”. Nice topic. I resisted using the word posture in the past because of the fixed ideas students had about it but then I realized it provided a great place to discuss how they think about themselves and their body. Now I approach the issue by telling people that posture is a snapshot of body position at any one time so that if you are moving well then any snapshot is also going to show good mechanical alignment. Feldenkrais used the word acture, which I assume means posture in action.